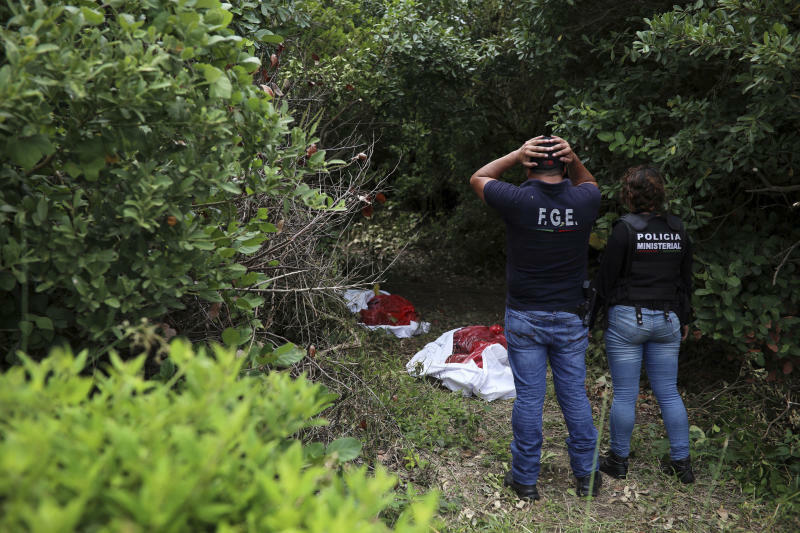 ARBOLILLO, Mexico (AP) — A day after authorities in the Mexican state of Veracruz announced the recovery of at least 166 skulls in mass clandestine graves, journalists who arrived at the site Friday discovered it was the same location where officials reported finding 47 bodies in 2017. 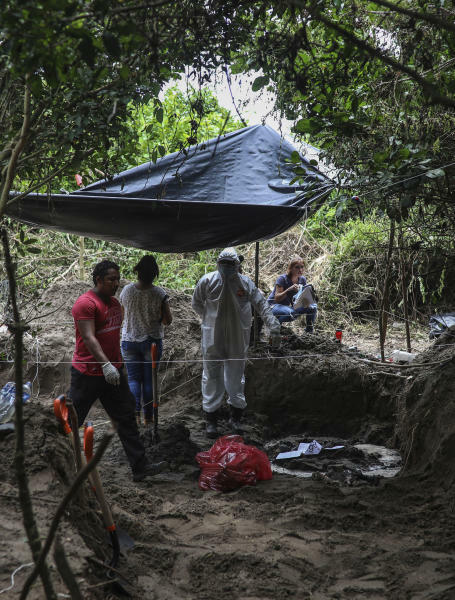 Veracruz state prosecutor Jorge Winckler had said Thursday that authorities had been working at the site for 30 days and in that time found 32 burial pits containing 166 skulls. He said the burials were at least two years old, but made no mention that he had announced previous discoveries at the very same site in March 2017. An Associated Press photographer walked to the site with other journalists thinking they would be stopped at a security perimeter, but instead they found themselves in the middle of active excavations. All around them 40 to 50 people worked at grave sites, setting remains on white sheets and eventually placing them in red plastic bags. Many other still unopened graves were taped off. Only days before his 2017 announcement of the discovery of 47 skulls, Winckler said at another mass grave site, "There are pits where we are not working because we don't have space to put the bodies that we might find." It was not immediately clear if that was why authorities did not return to Arbolillo until last month. The state prosecutor's office did not respond to The Associated Press' request for comment. Under pressure from collectives of relatives of the state's disappeared, authorities began Friday afternoon to show families the photo albums of clothing, IDs and other items recovered from the site to see if they recognized something belonging to a loved one. Such access had originally been offered for next week. 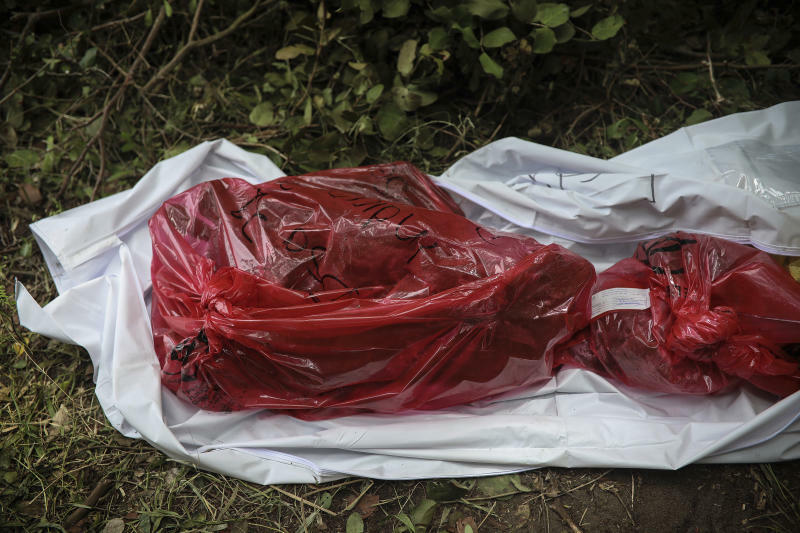 Mexico's National Human Rights Commission said Friday that the latest Veracruz discovery brought to 696 the number of corpses found in mass graves since the beginning of 2017. The government agency said 163 clandestine burial pits had been found, mainly concentrated in states like Veracruz, Chihuahua, Sinaloa, Zacatecas and Jalisco. The pace of such discoveries does not appear to have slowed much since the height of Mexico's drug war. The commission said that between 2007 and 2016, 3,230 bodies were found in mass graves. On Friday, as the journalists were shooed from the grave site authorities began taping off a security perimeter.